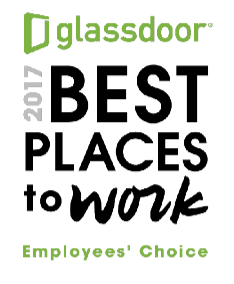 Glassdoor announces its Top 50 Best Places to Work in 2017 from a list of more than 600,000 companies, and Aegis Living is this year’s big surprise. Aegis Living is a leader in senior living in Washington, California, and Nevada with more than 2,200 employees. What makes the award surprising is that Aegis Living breaks almost every rule on what it takes to be a “Best Place to Work”: it’s senior living in a youth-obsessed culture; it’s high touch in a high tech world; it’s a mission-based career in a selfie society. “In our society, the cultural goliath is a high tech business. We’re a high touch business, nurturing more than 2,000 seniors. We’re amazingly honored to be named as a Best Place to Work. Our employees deserve this award. They love our residents and value their wisdom. They make our high touch culture an oasis in a high tech world,” said Aegis Living Founder and CEO Dwayne Clark. Aegis Living’s rank in the Top 50 marks the first time that a senior living company has been named on the list. The Best Places to Work are determined using mostly anonymous company reviews shared by U.S. based employees between November 2, 2015 and October 30, 2016. Aegis Living is a national leader in assisted living and memory care operating 29 communities across the west coast, including two in Shoreline. Founded in 1997 and headquartered in Redmond, Washington, privately held Aegis Living serves residents in Washington, California and Nevada with six new developments in the Puget Sound region. Aegis Living has been honored time and again as a “Best Place to Work” by (NBC) KING5 and other media entities.